Rico Aviation is proud to host a hangar in Tucumcari, NM. Making service to Eastern New Mexico, Southern Colorado and West Texas that much easier. Rico Aviation is proud to be the premier air ambulance service serving Tucumcari New Mexico and the surrounding area. Operating out of Dan C. Trigg Memorial Hospital, Tucumcari is home to one of our Bell 407 emergency response and medical transport helicopters, positioned ideally to respond to emergencies throughout Northeastern New Mexico and the Texas Panhandle. In partnering with Air Methods to base an Air Ambulance in Tucumcari, our immediate transport radius expands to the New Mexico hubs of Albuquerque and Santa Fe, as well as into Southern Colorado. 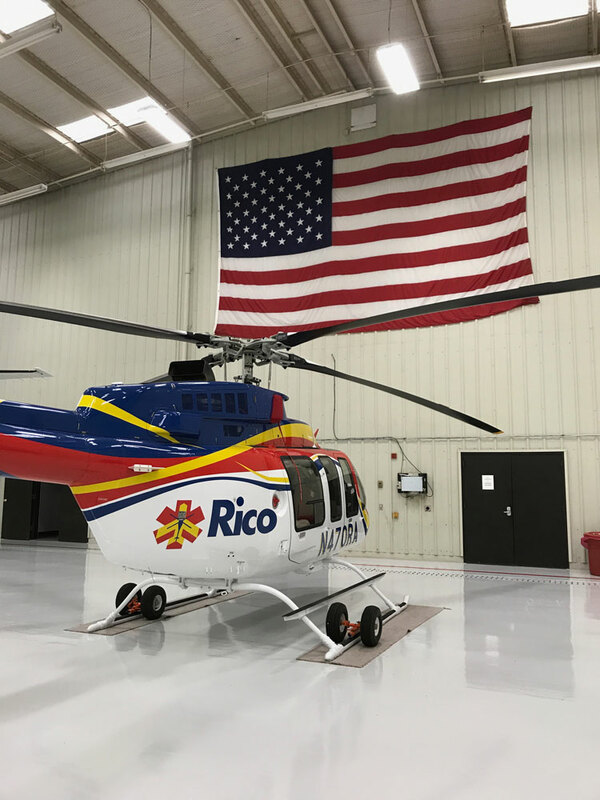 Why Rico For New Mexico Air Ambulance Services? At Rico Aviation we cut no corners when it comes to the care of your loved one. Rico is accredited by the Commission on Accreditation of Medical Transport Systems. This accreditation holds us to a higher standard than is required by most states when it comes to safety and crew training. To put things in perspective: currently, there are less than 200 aeromedical services in the world that hold this accreditation. During the flight, your loved one will be cared for by one of our certified nurses. Our nurses all have adult and pediatric critical care training as well as advanced trauma care certification. Our employees undergo new training every three months to make sure that we are on the cutting edge of new standards and practices. 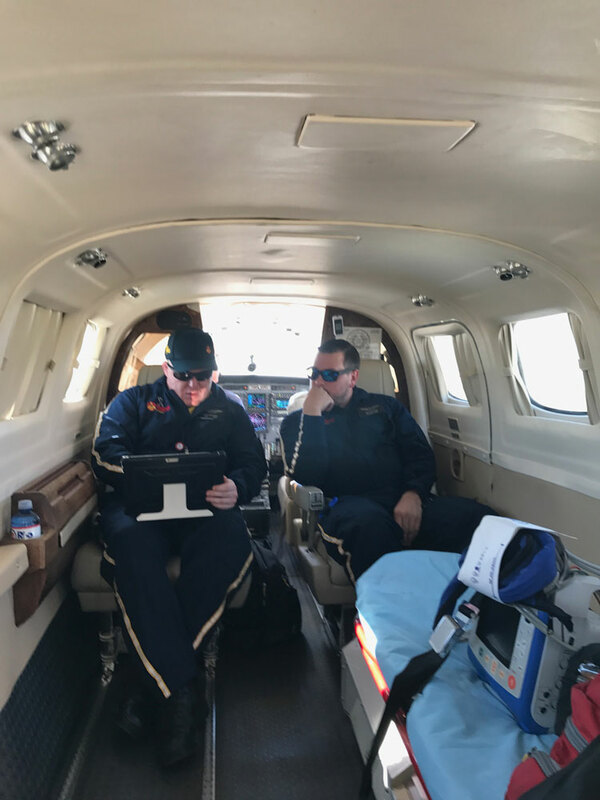 You will find no other Tucumcari air ambulance service, nor New Mexico air ambulance service which holds itself to a standard as high as Rico Aviation. At Rico Aviation we pride ourselves on having the most up to date technology in both aviation and medical care. We own all of our aircraft which assures that maintenance is up to date and reviewed consistently. Our medical technology includes cutting-edge ventilators like the Hamilton T1 and the advanced vital monitoring systems of the Zoll X series. We will always take the highest precautions and care when it comes to transporting your loved ones. Contact us today to learn more about our Tucumcari air ambulance service and to find answers to any questions you may still have after reviewing our website.